“Many of the confrontations occur because of [coalition] ignorance of, or lack of empathy for, Muslim and/or Afghan cultural norms, resulting in a violent reaction from the [Afghan security force] member” according to the draft handbook prepared by Army researchers in a 75 page manual that will be given to troops heading over to this theater of war and was reviewed by the WSJ. Basically the reports central argument is that cultural insensitivity is driving insider attacks by Afghan security forces. I don’t buy it. I believe that the Afghan Taliban has strategically infiltrated the state security forces in order to tactically attack and hurt NATO forces. And it works in their favor because the US is just starving for Afghans to step up to the plate and take over security roles. Worse, how are we supposed to know who is standing up for what? How do you vet Afghans when Afghans recommend others to be part of the forces? This is also working in the favor of the Taliban in that their people infiltrating these forces will have access to weapons and sensitive places but worse, they are getting trained by the US on how to fight. When we pull out the Taliban will be best placed to take the fight to the Afghan civilian government. All of which I believe about Afghan troops and I would go further and say this precisely depicts the Pakistani soldiers as well. Pakistani army being engaged in the politics of Pakistan have reduced them to this status in my eyes. 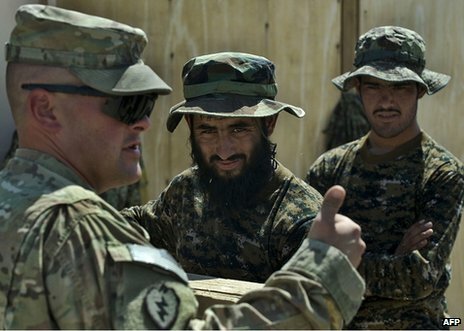 But in going back to the conclusion found in the manual, I think generally speaking outside of the Afghan-NATO troop interactions, the advice is point on. Americans in general have this idea of superiority that borders arrogance. Our pride can have a horrible affect in how we related to people whose cultures are not similar to ours. If we want to engage the world, we need to understanding that the world will not engage with us if we apply our assumptions and stereotypes. Its good to stop and step back from those things.